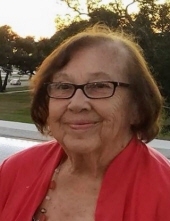 Barbara D. Deitte, age 79, of Fond du Lac, died Tuesday, February 05, 2019, at St. Agnes Hospital. She was born on August 24, 1939, in Fond du Lac, the daughter of Louis and Viola (Rhein) Tank. Barbara previously worked as Administrator at All About Life. She was an avid Green Bay Packer fan. She was always very caring about other people’s needs and enjoyed spending time with her grandchildren and great-grandchildren. Survivors include one son, Timothy (Mary) Deitte of Fond du Lac; four grandchildren, Daniel Deitte of Fond du Lac; Olivia (Jake) Kaiser and their children Brooklyn and Parker of Mosinee; Kayla Deitte of Milwaukee; Matthew Deitte Blau of Oshkosh; step-grandchildren, Jill (Caleb) Lamz and their four children, Owen, Asher, Emmarie, and Mihret of Clarkston, MI, Bryan (Jennifer) Lehner of Fond du Lac, Craig Lehner of North Fond du Lac; her former husband; Dale Deitte of Fond du Lac; her sister, Betty (Wes) Jonely of Redgranite; brother-in-law, Joe Flitcroft of Fond du Lac; her dog, Chelsi; good friends, Mike and Tim Noonan; and she is survived by many nieces, nephews, other relatives and friends. She was preceded in death by her parents; one son, Todd; sister, Nancy Martin; sisters-in-law, Marge Flitcroft and Joan Spak; brother-in-law, Lee Spak; one niece, Kelly Jonely. Visitation will take place on Friday, February 8, 2019, from 3-7 PM at Uecker-Witt Funeral Home, 524 N. Park Ave, Fond du Lac, WI, 54935. A funeral service will follow the visitation at the funeral home at 7:00 PM. Cremation will follow the service and interment will take place at St. Charles Cemetery. To send flowers or a remembrance gift to the family of Barbara D. Deitte, please visit our Tribute Store. "Email Address" would like to share the life celebration of Barbara D. Deitte. Click on the "link" to go to share a favorite memory or leave a condolence message for the family.